For the next three weekends at the re-launched Westbourne Studios, Ping Tron will host a custom-built, "light-proof" pong arena lit only by UV bulbs. 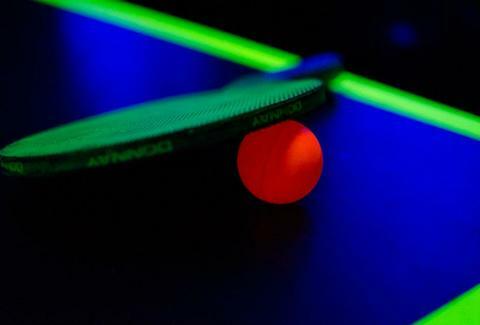 Completely black tables, bats, and walls are marked out with reflective neon tape, and they'll even be playing a beer-pong variant using glowing, tonic-laced cocktails. Win the tournament and get a bottle of Champagne, plus a membership to the Studios, leaving you positively glowing.